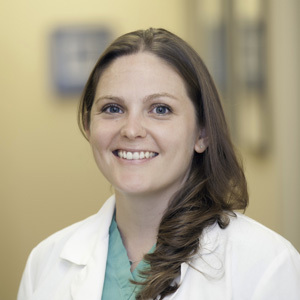 Dr. McBride obtained her Doctorate in Veterinary Medicine from MSU, and completed her Small Animal Rotating Internship at the University of Pennsylvania. She also completed the Small Animal Rotating Internship at Colorado State for Exotic & Special Species (2008), and did an Emergency Medicine Fellowship at MSU (2007). Dr. McBride enjoys soft tissue surgery and wound management. "I chose this career because I enjoy practicing medicine and the daily challenges that healing animals brings. I enjoy providing help & comfort when people and their pets are distressed." Dr. McBride joined AEC in 2011. She is a member of the MVMA, AVMA, IVECCS and SEMVMA, and is licensed in both Michigan and Pennsylvania.